No smoke, no sweat. Our range of gas barbecues makes outdoor entertaining a breeze. 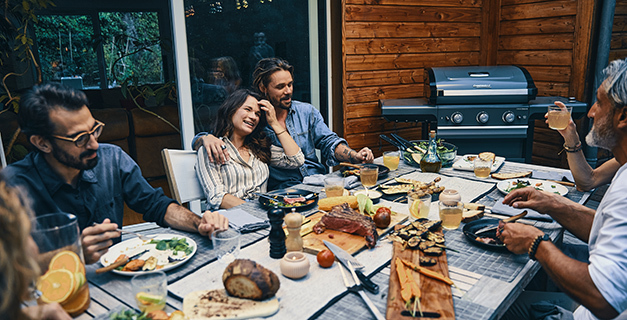 We have covered everything you need for easy barbecuing – electronic ignition, large cooking surfaces, easy grease collection, warming racks and minimal maintenance too. Our range of complementary Culinary Modular Barbecue accessories system give you the opportunity to turn your hand to something different - Pizza, Paella, Wok cooking. The gourmet possibilities are endless.